Lent begins with a showdown as Satan tries to tempt Jesus with pride, vanity and comfort. As Christmas approaches, we face the same three temptations. 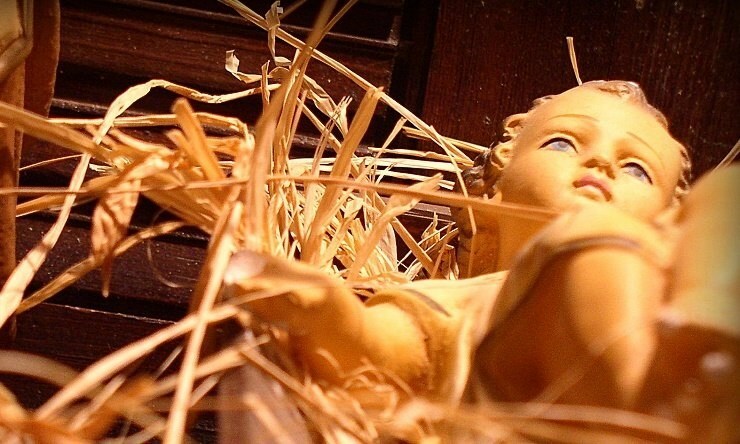 The first temptation of Christmas is pride: feeling threatened by Jesus. This is the temptation Herod gave full vent to, massacring the innocents in a mad campaign to kill the baby Jesus. Our federal, state and local state governments do the same thing: They don’t ban Frosty the Snowman or Rudolph the reindeer. Those aren’t real, so they aren’t scary. But the baby Jesus is real — and that is scary. We know this because he scares us too. Often, we respond by sentimentalizing Christmas, to keep him at bay. We say we want to welcome Jesus into our heart this Christmas. But not the part of our heart that is in charge of our morning routines … or our nighttime fun. Nor do we want to welcome him into the part of our heart that controls our time online. Or the part that speaks up — or stays silent — in our workplace, Or the part that spends our money. We are fine welcoming Rudolph into our heart. But not Jesus. The second temptation of Christmas is vanity: feeling disappointed by Jesus. Satan is the leading example of this. The book of Revelation tells the story of how he objects — violently — to the incarnation. Why? He refuses to worship a person who may be fully God but is also fully man, a nature lower than his own. In our day, the same thing happens. Not everyone is afraid of Jesus. Some of us feel like we have taken his full measure and found him lacking. Sometimes, this happens because we had an emotional experience of Jesus that tragically misunderstands him. He’s not alone. Others went through precisely that experience at an event. But just as common is a softer version of it: Those of us who gave ourselves whole-heartedly to religion for a time, and then withdrew, disillusioned and doubting. The third temptation of Christmas is to prefer our comfortable routine to Jesus. The innkeepers fall prey to this one — they are so caught up in the affairs of the day that they dismiss Jesus unthinkingly when he wants in. But I like to think of the positive examples we have at Christmas, too. Think of how easy it would have been for the main figures in the Nativity story to fall prey to this temptation — or, indeed, all three! The shepherds could have focused on their watch in the fields, and refused to look for Jesus. Or they could have felt threatened by the angels or disappointed by the baby in a manger. The Magi, too, could easily have skipped their long journey following the star. Or they could have been threatened or disappointed by the rival Jewish belief system it led them to. Chief among the good examples of Christmas are Mary and Joseph. Think of how badly their story could have gone: Mary could have rebelled against the stressful journey and Joseph’s failure to get a place to stay, and Joseph could have refused the constant hardship caused by this child that wasn’t his. But none of them did. They all gathered around the baby Jesus and worshiped. And if we fight against the temptations to pride, vanity and routine this Christmas, we can join them there. This article originally appeared in Aleteia.